Over the past couple of months, you may have heard a lot of buzz around the federal government’s Opportunity Zones program, especially if you work within the commercial real estate, accounting, and finance industries. As a commercial real estate professional working with investors and businesses, I couldn’t help but delve into the program myself to see how and if this program could benefit my clients. You may have asked yourselves some similar questions when you heard about the program such as what is it? Where did it come from? Why was it created? How does it work? What are the benefits? After this post you will have a good understanding of Opportunity Zones and whether they are something you want to explore further and include in your investment strategy. The Opportunity Zone program was created in the Tax Cuts and Jobs Act of December 2017 in an effort to revitalize economically distressed communities using private investments rather than taxpayer dollars. Using 2010 census tracts data of neighborhoods, areas that met low income and geographic criteria, as defined by the program, were qualified as Opportunity Zones. Areas with a poverty rate of at least 20 percent or a median income of no more than 80 percent of the area average were considered. States, territories, and districts had to nominate up to 25% of communities that qualified and if an area had fewer than 100 census tracts, then up to 25 census tracts could be designated as Opportunity Zones. Located across the US, these zones keep their designated title for 10 years. Thus far, more than 8,700 Qualified Opportunity Zones (QOZ) have been certified. Most would assume that the investment types in Qualified Opportunity Zones are commercial real estate related. However, it also includes new business startups, expanding and relocating existing businesses into a QOZ, or small businesses already in a QOZ with plans of a substantial expansion. Where investors come into the picture is when they purchase businesses or commercial real estate within a QOZ through Qualified Opportunity Funds that holds their capital gains. In return, investors receive capital gain tax incentives for participating in the program. Where did Opportunity Zones Come From? The real estate market has been booming, the stock market has been at an all-time high and as a result investors have been tying up their wealth in real estate holdings and stock portfolios to avoid hefty capital gains taxes. In the meantime, local communities are struggling economically partly because investment capital have been tied-up in assets and metro areas that don’t spur local economies. Data shows that there are 50 million Americans that live in neighborhoods that are struggling to attract capital and sustain economic opportunity for their residents. In 2016, these communities contained 1.4 million fewer jobs than they did in 2007. Since the Great Recession in 2008, companies in these areas have been shutting down faster than new businesses have been opening up. The global and national recovery has done little to boost these local businesses and create more local jobs. Metro areas have been regaining new businesses increasingly faster than the rest of the country combined, leaving local economies in the dust and an increasing need for local economic stimulation. The government has been in this predicament before and has in the past created various programs to solve this problem. However this time, the Opportunity Zone program is said to be like no other program implemented before and may be the answer to achieving economic progress in distressed communities. Past programs had often failed because they’ve been subject to Congress renewal, whereas the Opportunity Zone program is not. It creates a win-win scenario by rewarding investors with capital gain tax incentives while local neighborhoods reap the benefits of an economically improved area without any additional tax burdens. The closest equivalent to the Opportunity Zone Program, at least in real estate, is the 1031 Exchange, which also allows property sellers to avoid capital gains if they put their earnings into another real estate investment. Unlike the 1031 Exchange, however, this OZ program includes a path to liquidity and is not limited to a like-kind exchange. 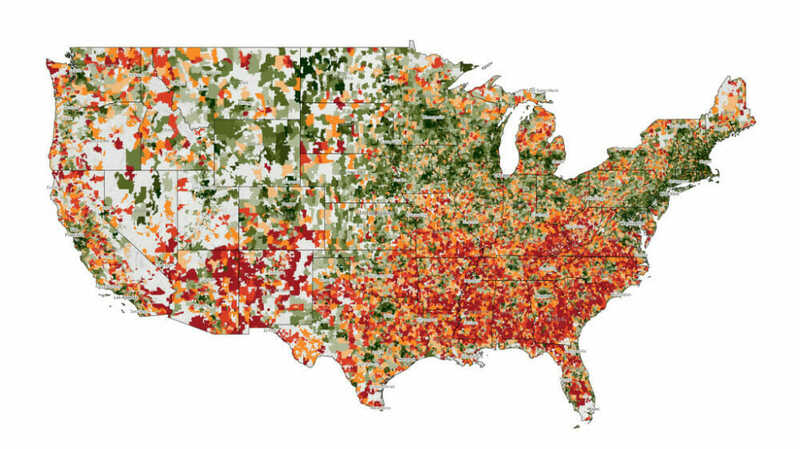 How Does Investing in an Opportunity Zone Work? Once an investor decides to participate in the program and take advantage of the tax incentives, they have to create a Qualified Opportunity Fund (QOF) in order to invest in an eligible OZ. The QOF is an investment vehicle that is setup as either a partnership or corporation and utilizes the investor’s gains from a prior investment to fund the Opportunity Fund. To start a QOF an investor can self-certify by simply completing IRS Form 8996 and attaching it to their federal income tax return for the taxable year. There is no approval or action required by the IRS besides submitting this form with your tax return to start your QOF. Investors also have the option of investing with an existing QOF that aligns with their strategy and size of investment. However, whichever the investor chooses, a QOF must keep at least 90% of their assets in one or more designated Opportunity Zones to receive the tax benefits. They also have 180 days of the sale of the other asset to flip a capital gain into a QOF and then the IRS gives the QOF 30 months to put their money to work. For a business to qualify, at least 50% of the gross income of the business must be a result of trade done in the designated Opportunity Zone. The benefits begin immediately with a temporary tax deferral on the original gains when an investor reinvests its capital gains in the QOF within 180 days. Tax payment is deferred until the investment is sold or exchanged or until December 31, 2026, whichever comes first. When the QOF is held for five years, the investor sees a 10% basis reduction. After seven years, a discount of up to 15% on the taxable amount of original capital gains. If the QOF is held for ten years or more, there is no capital gains tax on the OZ investment. For example, if a million dollar investment turns into two million dollars, you keep the full second million after ten years with no taxes. Ultimately, the longer you stay in the fund, the greater the potential investment benefit. There is also no dollar limit on the amount of gain that can be deferred that is known as of now. While initially many investors were waiting to obtain more clarity on the rules before investing, they are now scurrying to partake in the OZ program in the interest of maximizing the value of the program in the given time periods. After December 31, 2026 investors can no longer defer taxes on their capital gains they reinvested in QOFs. Therefore, the seven year ability to reduce capital gains by 15% will disappear if not made by the end of 2019 and the five year ability to reduce capital gains by 10% will disappear if not made by 2021. Recent regulations clarified that if an investor participates in the program and during the holding period, the QOZ designation expires (QOZ’s holds its designation for 10 years), the investor will receive tax-free appreciation on a sale of their investment until December 31, 2047. Where Can You Find Qualified Opportunity Zones? As previously mentioned, Opportunity Zones are located throughout the US. In New York State there are 514 zones, 60% of which fall in the five boroughs and 2% in Nassau and Suffolk Counties of Long Island. There are various maps available online that allow you to zoom in on different areas of interest or type in a specific address to check if a property is within a QOZ. Below are several links to maps that show Opportunity Zones across the US. A local commercial real estate professional would be able to help identify specific properties that are available to purchase within an Opportunity Zone. The QOZ properties include various product types including industrial, office, retail, multi-family, hotels, gas stations and solar farms to name a few. On Long Island you can find designated Opportunity Zones in Long Beach, Glen Cove, Hempstead Village, Huntington Station, Central Islip, North Bellport, Wyandanch, and Riverhead. Before the implementation of this federal program, Long Island has been in the midst of revitalization with the development of transit oriented multi-family and mixed use projects in hopes of having future generations stay and keep the local economy strong. With the execution of this federal program, these designated OZs may provide an extra incentive to investors to continue Long Island’s revitalization efforts. We have not seen significant amount of investment activity in Opportunity Zones here on Long Island as of yet and this could be for various reasons. Long Island is considered to be in good shape compared to other parts of the state, but it could also be because of the programs timing regulations. It can take a developer a year or more, depending on the project, to obtain necessary permits from a village/town and then another two to three years to complete construction. Therefore, an investor would not be able to meet the 30 month timeframe the fund requires for completion resulting in the loss of the tax incentives. However, as the regulations continue to be released, the towns/villages of Long Island with OZs are making an effort to adjust and make the process more seamless to meet the necessary deadlines. • our tourism industry can be better and it would foster the development of hotels. Developers may be able to make better sense of the financials when investing in businesses or commercial real estate located within an OZ because of the tax incentives, whereas before, it would have been a more risky investment. In return, distressed neighborhoods will have more jobs, sense of community, and economic stability. It could be a win-win. In August of last year, one of Long Island’s largest office landlords and developer RXR Realty, announced its initiative to raise a $500 million Qualified Opportunity Fund primarily through high-net worth individuals. RXR was ahead of the game though and already had projects in the pipeline that were a fit for its Opportunity Zone fund through vehicles such as RXR New York Metro Emerging Sub-market Venture LP and RXR Real Estate Value Added Fund III LP. Some of the fund is also said to be going towards development in New Rochelle, Westchester County, and the Brooklyn Navy Yard. In Brooklyn, they have a $319 million development adjacent to where there are plans for 680,000 sq. ft. of mixed use commercial space. On Long Island, RXR has $83 million in the development of downtown Glen Cove with 146 residential units and 15,500 sq. ft. of retail space on Brewster Street called Village Square. Along Glen Cove’s waterfront of former industrial land, Garvies Point, RXR was already committed to revitalization of the area as it was in the midst of constructing condominiums, apartments, retail space, parking and amenities before the OZ program was offered. If you’re an investor with a significant amount of untaxed capital gains, exploring the advantages of an Opportunity Zone investment further with a financial advisor or tax accountant may be worthwhile to see if it fits your investment strategy. The Opportunity Zones program seems to be a game changer that will provide significant tax benefits to commercial real estate investors while revitalizing underserved communities in the US. As questions and concerns about the program arise, the Treasury Department and the Internal Revenue Service continue to provide further clarifications, including additional legal guidance. This being said, I am not a CPA and this is not legal or tax advice, so it is important to consult with the appropriate advisors.